En-suite rooms available. Just drop in or call 01747 860192 to book a viewing. 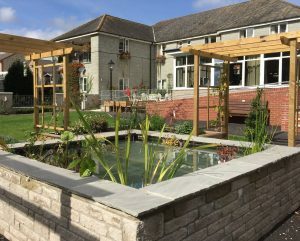 At Bramley House we provide quality care in a relaxing environment and beautiful location. Bramley House is situated in the historical village of Mere just beneath the South Downs. Mere itself offers a host of amenities including a post office, several inns, shops and tea room. The facilities at Bramley House include beautiful and individually styled bedrooms, a variety of living and dinning spaces to relax in and a luxury hair salon (available soon). Our spacious orangery with patio looks onto the landscaped garden with its pond and pergola. 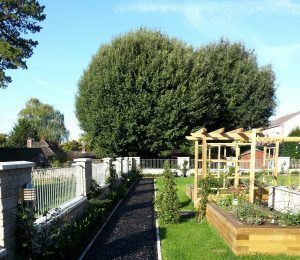 The raised beds make it possible for residents to enjoy the flowers and for anyone wishing to be more energetic to join in with any gardening activities. 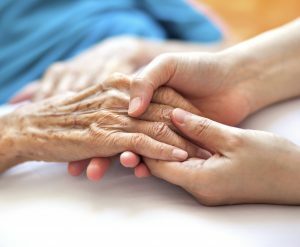 Our team of dedicated care staff are trained to provide round the clock quality care for all residents and are trained to help any residents living with dementia. 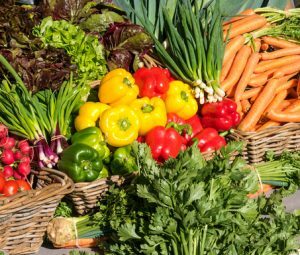 Our on-site kitchen produces a variety of home cooked meals using fresh produce. We cater for a wide range of tastes and dietary requirements. 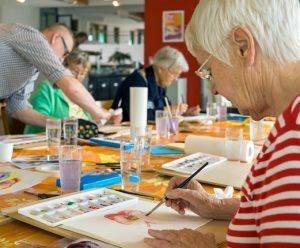 Activities co-ordinators provide a busy schedule of engaging events and activities so residents remain active and engaged. In the September 2015 residents rated the friendliness of the staff as excellent and the care and activities provided as excellent or good.